If I had the opportunity to switch lives with someone just for a day it would more than likely be with Miroslava Duma's. She's the insanely gorgeous, perfectly petite, and incredible talented former fashion editor at Harper's Bazaar (Russia). The girl can rock fashion like no other and I'm sure you've been seeing this gorgeous pink suit a million times around the blogosphere. I mean the girl is the bomb diggity ( yes, I did in fact just say that). And all at the age of 25. Freakin' 25 people!! Did I mention that she has a kid also? Yep, the girl rocked the baby bump too. Now, she's currently a free-lance writer and runs the famous Buro 24/7. Oh yes! 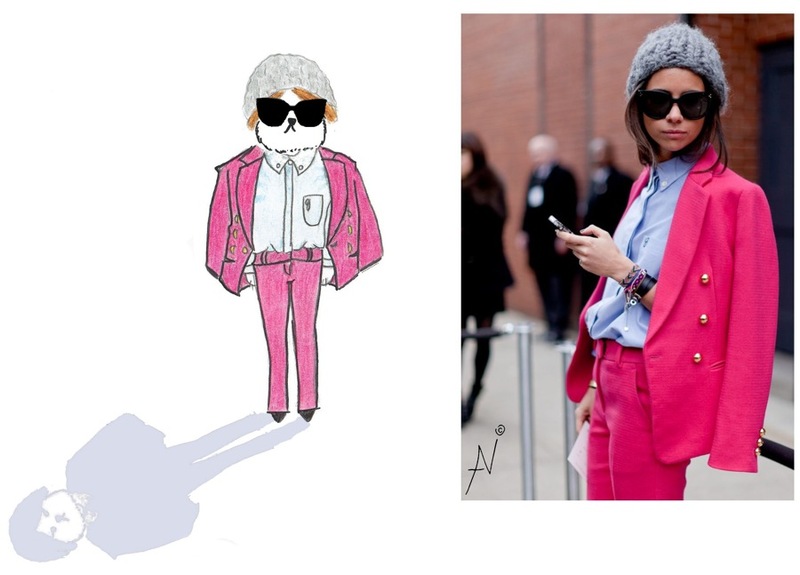 I agree if I could be any style icon for a day, it'd be either her or Victoria Beckham! So chic! Its hard to believe she is only 25! Only 25, wow. I love all of these images. Now that Spring has arrived I definitely need to start wearing my skirts and dresses. She sure has an amazing sense of fashion!! she really is amazing! and best of all is she makes it look so effortless! I'm with you! I would totally love to swap lives with this girl for a day!